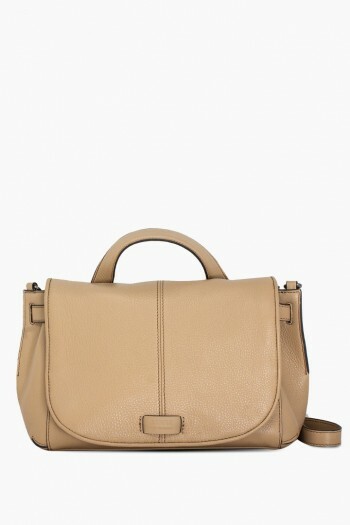 The Valencia lets you store your jewelry and small goods in style. 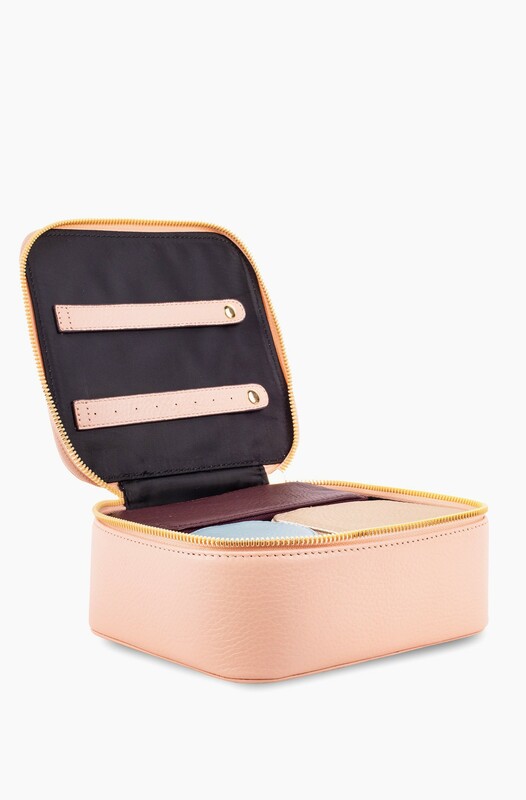 The large square case has straps on the interior for earrings and the small leather cases are soft-lined to ensure safe storage while on the go. 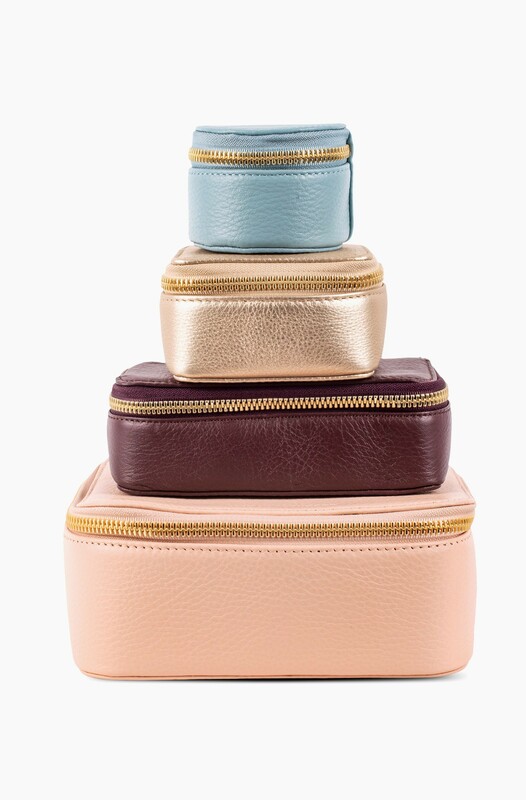 With four leather zip-around cases in fun colors, everything you pack will stay secure and in it's place! 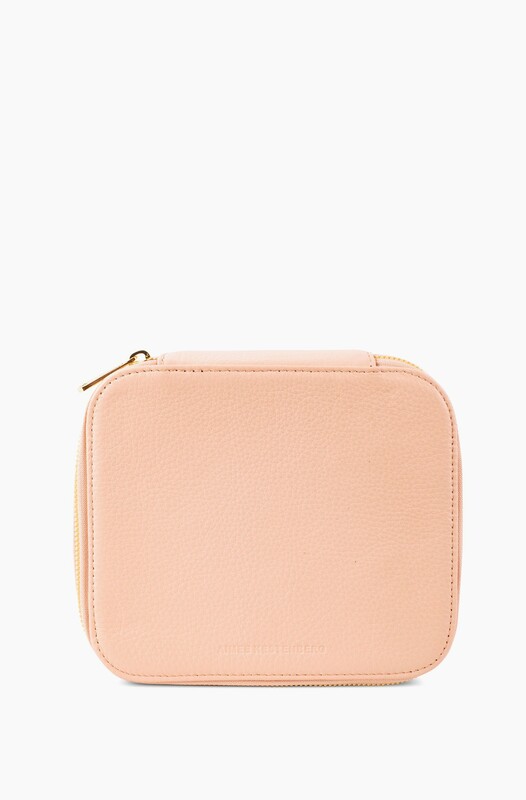 * Measurements: Large Square Case: H 2.5" x W 7" x D 6"
* Small Rectangle Case: H 2" x W 6" x D 2.5"
* Small Square Case: H 2" x W 4" x D 3"
* Small Circle Case: H 2" x D 2.75"